Four Seasons at Murrieta is an intimate 524-home active adult community on the outskirts of Temecula Valley wine country. Residents of Four Seasons at Murrieta cherish the community's central location set between Orange County, San Diego and Palm Springs, CA. Four Seasons at Murrieta is nestled near the base of southern California's inland empire. This stretch of land is renowned for both its separation from the crowds of southern California while simultaneously close to everything the region has to offer. K Hovnanian (KHOV) built Four Seasons at Murrieta between 2000 and 2005. 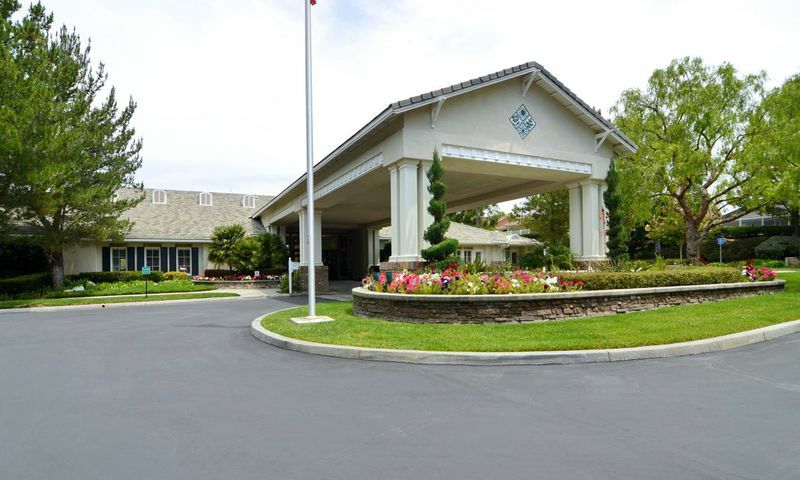 Like most of KHOV's age-restricted communities, Four Seasons at Murrieta is a mid-sized active adult community that caters to 55+ adults who want the available amenities of a large-scale resort but in a smaller, more close-knit setting. Living in Four Seasons at Murrieta means having world-class amenities right outside your front door. The community's ten acre recreational complex includes an exciting lineup of amenities designed for the needs of today's active adults. The amenities in Four Seasons rival the facilities in communities that are much larger. The Lodge, at the heart of the community, is the central hub for all social and fitness activities. It includes a fitness center, outdoor pool and spa, aerobics studio, beauty salon and hobby rooms. Outside, sports enthusiasts can enjoy the tennis, basketball, volleyball and bocce ball courts. Golfers can brush up on their game at the community's putting green and driving range. Plus, there are a number of great golf courses in the surrounding area. For those who want to travel a little farther, the Coachella Valley an hour and a half northeast is home to some of the finest courses in the world. There are a variety of resale real estate options in Four Seasons at Murrieta. Homebuyers can choose from nine different single family floor plans that range in size from 1,772 to 2,773 square feet. These homes feature two to four bedrooms, two to three bathrooms, and a two to three-car garage. Many of the homes feature a pleasant lineup of options including front porches, plantation shutters and kitchens outfitted with granite or Corian countertops. When you consider the fact that it has one of the lowest tax rates in the area and generous lot sizes, it is easy to understand why so many people have chosen to make Four Seasons at Murrieta their home. An activities director at Four Seasons at Murrieta is continually providing the residents with a diverse lineup of fun activities, events and social outings. Whether you enjoy cards and crafts or golfing and hiking, there is something for everyone in Four Seasons at Murrieta. Creative residents can put paint to paper with the art group while handier residents can hone their craft with the woodcarvers group. Residents can also pack their suitcases with the travel club or grab their 9-iron with the golf club. Stay in-shape with you friends with yoga, dance classes, or water aerobics. Serve your neighbors by joining the Sunshine Committee or go back in time with the genealogy club. With all of these options and more, active adults never run out of things to do at Four Seasons at Murrieta. The area surrounding the community is one of the major attractions to Four Seasons at Murrieta. There are plenty of shopping, dining and recreational facilities nearby. The Temecula Mall is just half a mile from Four Seasons where there are many desirable chain stores and restaurants along with a diverse array of specialty stores and boutiques. The nearby Old Town Temecula Community Theater is a great venue for watching plays and concerts. Diamond Valley Lake Reservoir is 10 miles from the community and offers great boating, fishing and hiking. Plus, Four Seasons at Murrieta's ideal location just two miles from the I-15 freeway, means many of southern California's exciting destinations are readily accessible in under two hours. With a wide selection of amenities, beautiful homes, and a Southern California climate that few can rival, Four Seasons at Murrieta is an active adult paradise. There are plenty of activities available in Four Seasons at Murrieta. Here is a sample of some of the clubs, activities and classes offered here. The Craftman Collection is ideal for those who want to enjoy the Four Seasons at Murrieta lifestyle on a reasonable budget. With over 1,700 to nearly 2,100 square feet, these homes still offer plenty of living space. These homes have two to three bedrooms, two bathrooms, and a two-car garage. The Traditional Collection features three elegant single-family homes that are perfect for homebuyers who want more room to relax, unwind and entertain. These homes range from 1,973 to 2,289 square feet and feature two to three bedrooms, two bathrooms, and a two-car garage. The Provincial Collection homes are designed for those who want the finest luxury appointments and ample living space. Homeowners who love to entertain will enjoy the spacious kitchens, extra bedrooms and optional casitas. These homes range from 2,262 to 2,773 square feet and feature two to four bedrooms, two to three bathrooms, and a two to three-car garage. We've lived here since 2009 and really like the casual atmosphere and friendly folks. Our family and grandkids are in the Palm Springs and San Diego area so this location makes it easy to get around for visits. I enjoy tinkering around in the garage on my latest project car and have met lots of people willing to lend a helping hand. My wife stays really busy over at the clubhouse with her crafts and hobbies so I can spend my time in my favorite room of the house, the garage! 55places.com is not affiliated with the developer(s) or homeowners association of Four Seasons at Murrieta. The information you submit is distributed to a 55places.com Partner Agent, who is a licensed real estate agent. The information regarding Four Seasons at Murrieta has not been verified or approved by the developer or homeowners association. Please verify all information prior to purchasing. 55places.com is not responsible for any errors regarding the information displayed on this website.